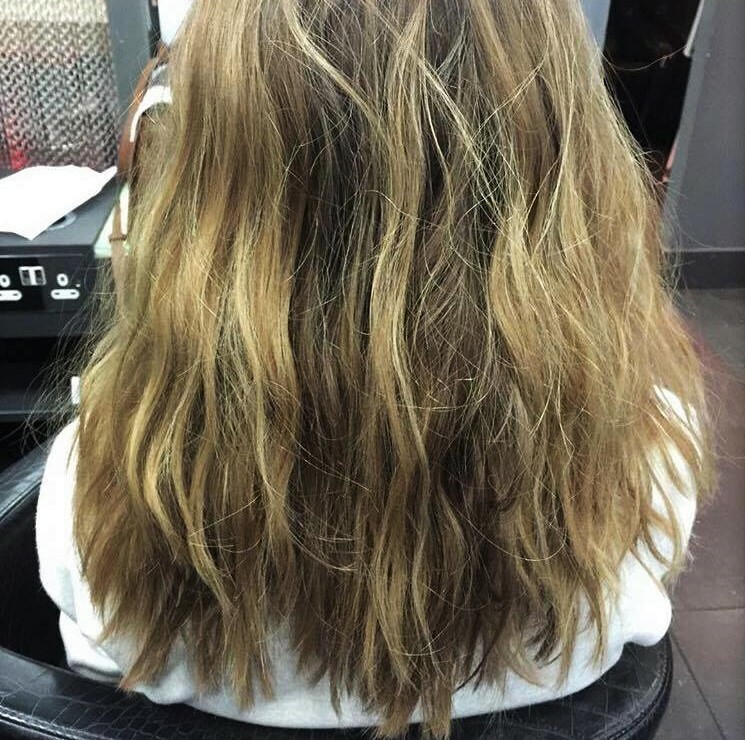 Getting a Balayage at SeanHanna Putney | Featuring the humble Llyod. I've been in a rut about my hair for god knows how long. I've wanted to go Ombre for ages but since the technique is a refined art and I've seen so many people get it where it looks dipped dyed. Even at top quality salons. Luckily I was invited to SeanHanna Salons to receive some hair magic. Llyod Court who work at the Putney Salon was going to colour my hair for me. So of course I Instagram stalked him prior to the occasion, and his work is amazing. His colour ranges from vivid reds to subtle highlights, step aside Guy Tuang. The Salon is located right in Putney High Street ( although they do have plenty of others located elsewhere) and is super easy to get to via the train if you're in the south. The interior itself is quite bold with beautiful croc textured chairs. Despite the fact it's a chain salon it still manages to have the feel of an independent one, probably because of it's size. Lloyd was so so friendly and I think having a chatty hairdresser is crucial to the experience. Without sounding shallow, being able to trust your hairdresser is really important. You wear your hair every day and it's something that isn't easily changed! I felt comfortable straight away with Lloyd and knew his judgement would be better than mine! 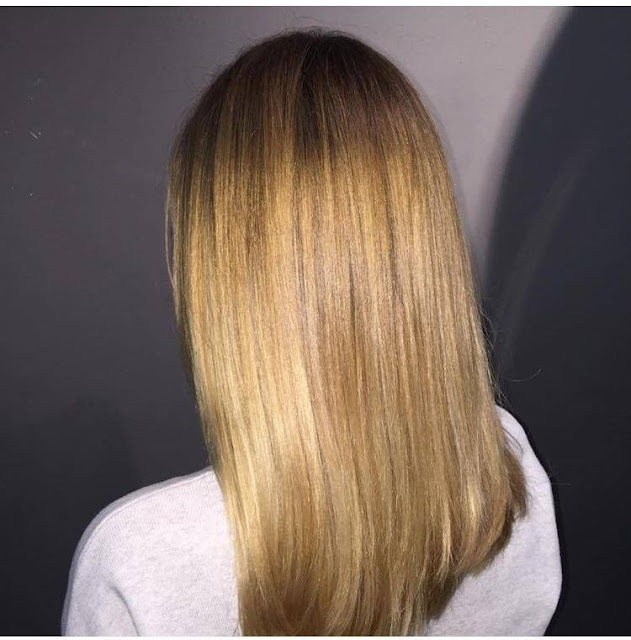 To avoid the dip dye look, my hair was going to be ombré using a balayage technique. Which as far as I'm aware, is essentially free painting the hair. The bleach blonde was going to go up quite high into my hair, meaning I had a long time to grow out my roots! This lead into a transition honey blonde before my natural colour, which is an ashy bronde. I do like my natural colour but I do wish it wasn't so bloody ashy! So all he need to do to this was add a warm toner. Usually getting my hair dyed can get a bit boring as it's a bit of a long process! However, Llyod was so chatty and friendly it was a really enjoyable afternoon. It's really nice to see someone enjoy their job too which seems rare these days. But at the same time he still managed to describe what was going on with my hair, At SH they use L'oreal Professionell for their colours and they're part of the colour without damage revolution. They use smart bond technology which protects your hair from damage. The bottom of my hair hasn't be dyed for years, and it does feel very course and a bit 'ratty', but Lloyd worked his magic and dyed the bottom using smart bond. Despite the fact he used bleach, my hair feels so good and strong. I'm over the moon with my hair and I'm so happy I've had it done. If you are thinking of getting your hair dyed I can't recommed SH enough and particuarly Llyod. But there are plenty around the UK if you can't get to Putney. 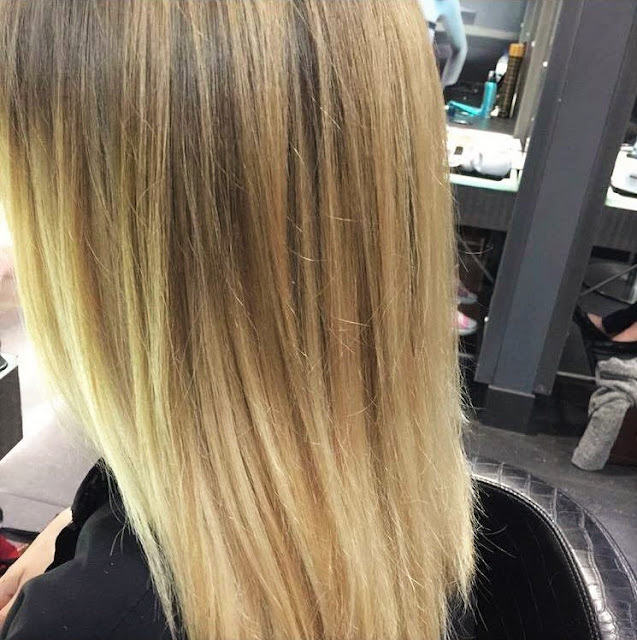 Have you ever had a balayage?